The majority of the new requirements will focus on nonbank lenders and servicers. Over the past decade, the share of nonbank issuers has ballooned from 18% in 2009 to 76% in 2017. During this same period of time, Ginnie Mae’s MBS footprint has tripled to $2 trillion mortgages. This growth occurred during unprecedented low interest rates. As the housing market slows down and the Federal Reserve continues to raise interest rates, analysts expect mortgage delinquencies to increase, creating more risk for the nonbank sector. “Anticipating a more challenging lending and servicing environment, the agency has turned its eye to lenders and servicers initially responsible for covering the cost of missed mortgage payments on the MBS they guarantee. We’ve never been in an environment where there were quite this many non-banks,” Michael Bright, Ginnie Mae executive vice president and chief operating officer said in a recent interview with the Washington Post. Unlike bank lenders and servicers, nonbank lenders and servicers are not as heavily regulated and more importantly can’t tap into deposits to cover unexpected losses. The shifting economic environment and growing share of nonbank lenders and servicers has sparked concern about the availability and stability of liquidity in more challenging markets. “We need to take some additional measures,” said Bright. Ginnie Mae appears to be considering a wide range of available options to bolster the liquidity of its MBS program. New issuers and servicers are expected to face stricter qualification criteria. Nonbank issuers should anticipate servicer and credit rating requirements. 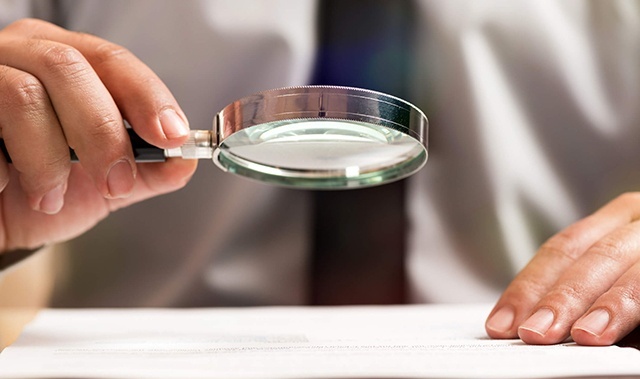 Internally, Ginnie Mae is reportedly reexamining policies around nonbank lenders and servicers, and the rise of mortgage servicing rights (MSR) financing. “We’re working on [these] policies right now,” Leslie Meaux Pordzik, Ginnie Mae’s senior vice president of issuer and portfolio management, said at a recent industry conference. Unable to demonstrate the capital buffer available to banks, nonbank lenders and servicers are likely to bear the brunt of policy changes. New and existing servicers working with Ginnie Mae may be called upon to validate a higher level of internal compliance and requirements management, while standing ready to roll out policy updates on demand. In today’s environment, where servicers remain challenged by onboarding, deregulation, increasing state oversight and disaster recovery relief, adding stricter compliance and imposing new requirements will create a real obstacle to maintaining profitability and stability. Preparing to assimilate another wave of policy changes into operational processes, as well as servicing systems and point solutions, is no small effort. Nonbank and bank servicers alike, can benefit from a nimble, configurable workflow solution that effectively adds requirements-based rules and metrics to support evolving policy. CLARIFIRE® delivers an innovative industry workflow platform that is uniquely designed to integrate change across multiple systems, offering flexibility to audit and manage underlying business rules, drive required activities throughout the servicing organization , identify exceptions before they are issues, and most importantly offer the control, visibility and oversight you need to be confident your servicing entity is compliant with Ginnie Mae requirements, old and new. Don’t wait for changing policy to create more chaos in your organization, find out how to ready your team and your systems for the new year today. Visit eClarifire.com, or contact us directly at 866-222-3370. Successors in Interest Changes are Here - Did You Prepare?